Mentaiko 明太子 is quite an underrated side dish of the Japanese cuisine culture, at least in Singapore. Yet, we do see it in on sushi, rice dons, onigiri, ramen, and inside tamago dishes. 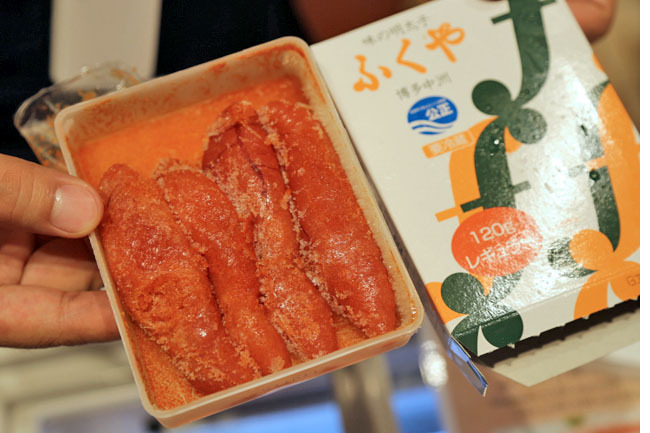 Here are some interesting facts I found about Mentaiko: This marinated roe of the Alaskan pollock was actually introduced to Japan from Korea. 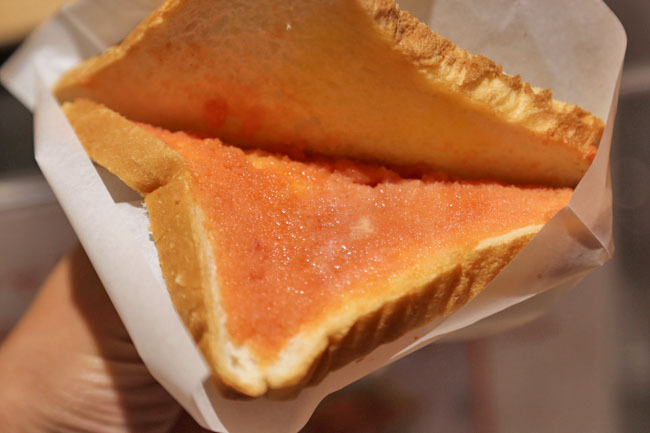 The Busan-born Japanese Kawahara Toshio through trial and error refined the flavour from Korean cod roe, and subsequently introduced Mentaiko to the Japanese in 1949. So Mentaiko had its roots from a humble grocery store at Hakata. Mentaiko is not exactly cheap due to the tedious process of production. They are made from pollock’s eggs in the Northern Ocean, in which the eggs are sorted by hand, not by machines. 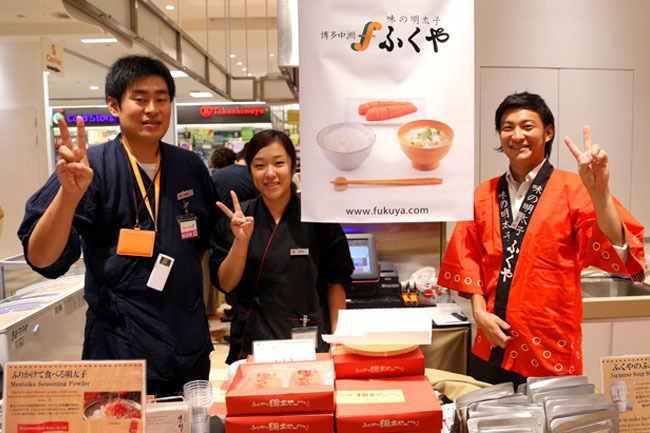 Good news for fans of Mentaiko and those who wants to incorporate the roe into dishes: The founding company of Mentaiko, Fukuya has a booth at Takashimaya Basement 2 (near Donq bakery) from now till 27th Oct.
Fukuya’s founder is the same person who introduced Mentaiko to Japan, and has created flavours of spicy, medium spicy, and extra spicy Mentaiko. 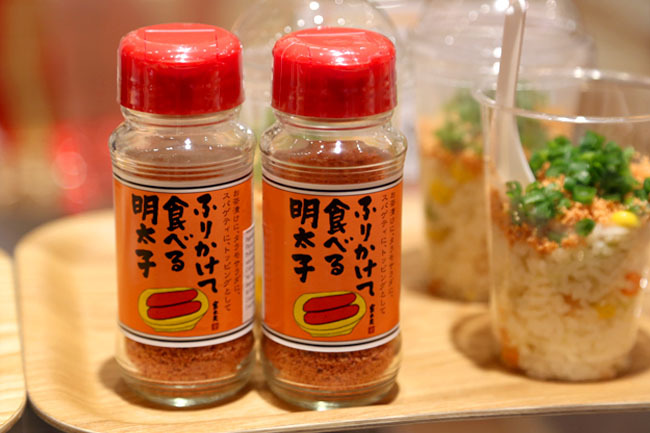 Due to its slight saltiness and spiciness, Mentaiko has been a great complement to pasta, bread and fried rice. My question is: What could I do with these Mentaiko? 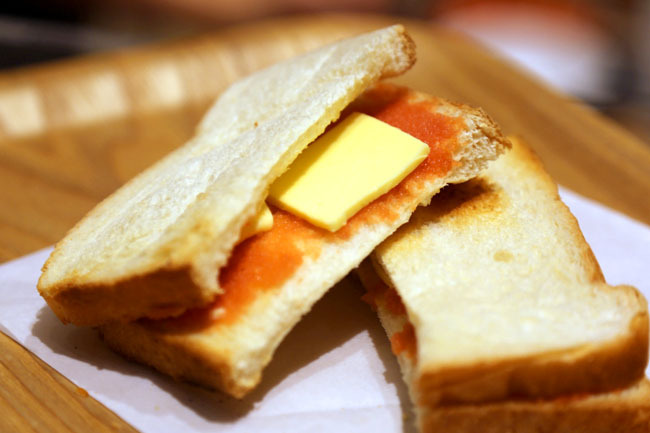 I learnt that an easy and delicious way is to spread them across bread with a little butter. 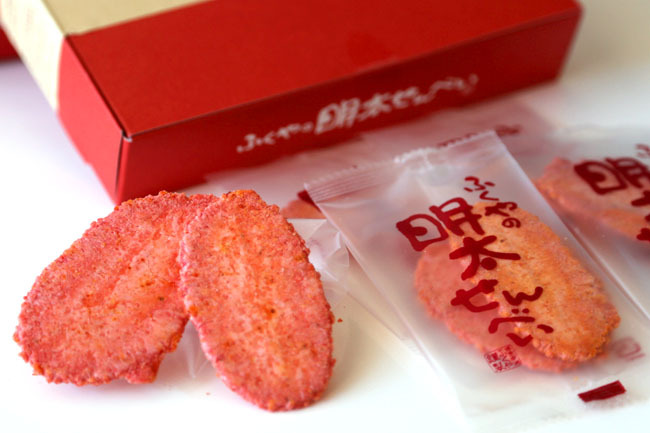 When you bite into it, the spicy and rich multi-dimensional flavour is really appetizing. 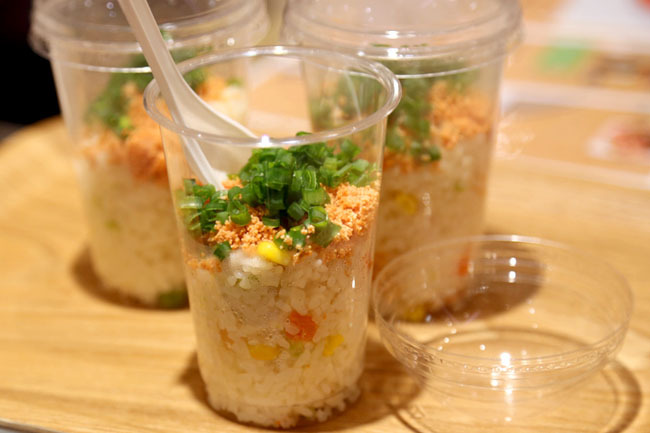 Other than toast, the booth at Takashimaya basement also sells ‘Shake Shake’ rice ($5), in which the Mentaiko is added into warm steaming Japanese rice in a cup. Simple pleasures! For fans of pasta, adding Mentaiko on top (especially on cream based pasta) simply transform the dish. It’s a temporary small booth, but you may fancy on other items such as scallop mentaiko ($24), soup stocks, Mentaiko in tubes and Mentaiko chips ($14 per box) – which I readily bought a few boxes back myself because I do not know when they are coming down again. Mentaiko is delicious and my kids love it. I am hoping to replicate a dish that we tried over the weekend and now I know where to find some mentaiko. Thanks! Your welcome! Just adding a little can make a difference to a dish.